Pre-Conference Poll #4: Would You Like to Serve on a 2016-17 GPOP Committee? Thank you to our 2015-16 Conference and PD Committee for all your thoughtful planning leading to today’s event. 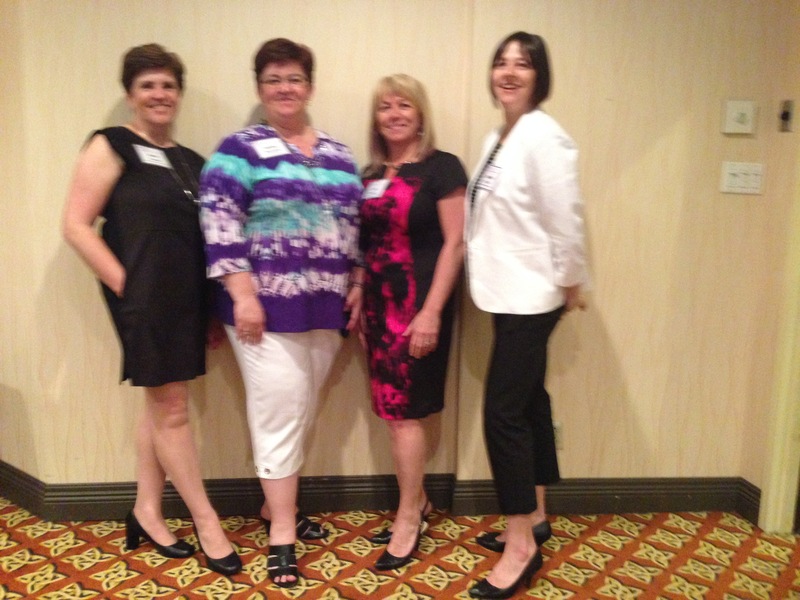 From left to right, we have Committee Chair Jenny Forestell and fellow members Nicole Blanchette, Lori Brown and Joanne O’Neill, seen at last night’s reception. Would You Like to Serve on One of our 2016-17 Committees ? Please take a moment to let your incoming Board know how you may wish to contribute in the year ahead. Be sure to click the “Vote” option for each question. Categories: Governance and Presidents' Office Professionals, GPOP, Membership | Tags: GPOP, GPOP Conference and AGM, GPOP listserv | Permalink.